Natalie Hockamier was born in Evanston, Illinois. She began playing the violin in her 5th grade orchestra program in Kentwood, Michigan, after much encouragement from her teacher, Karen Legree. She grew up listening to all kinds of music and watching her mom play the piano. She found a love for the violin, an instrument that was at times extremely frustrating to master, and at other times brought so much joy. Natalie continued in school orchestra, and in youth symphonies in Grand Rapids. Special thanks to her private teacher, Dave Haaland, who was so encouraging and provided excellent technical training. Natalie went to the University of Michigan in Ann Arbor and received a bachelor’s degree in botany. She continued to play the violin in college and take private lessons. After graduation, and a very brief try at a botany career, Natalie decided to try her hand at teaching private violin lessons. She has been teaching now for over 15 years. She auditioned for the West Michigan Symphony in 2002 and has been a dedicated core member ever since. She is grateful for the opportunity to play with a great group of musicians, to have met some wonderful people, and loves the challenging repertoire (especially Prokofiev, Tchaikovsky, Sibelius and Bartok). Favorite moment with the symphony was getting to play “Alexander Nevsky”. 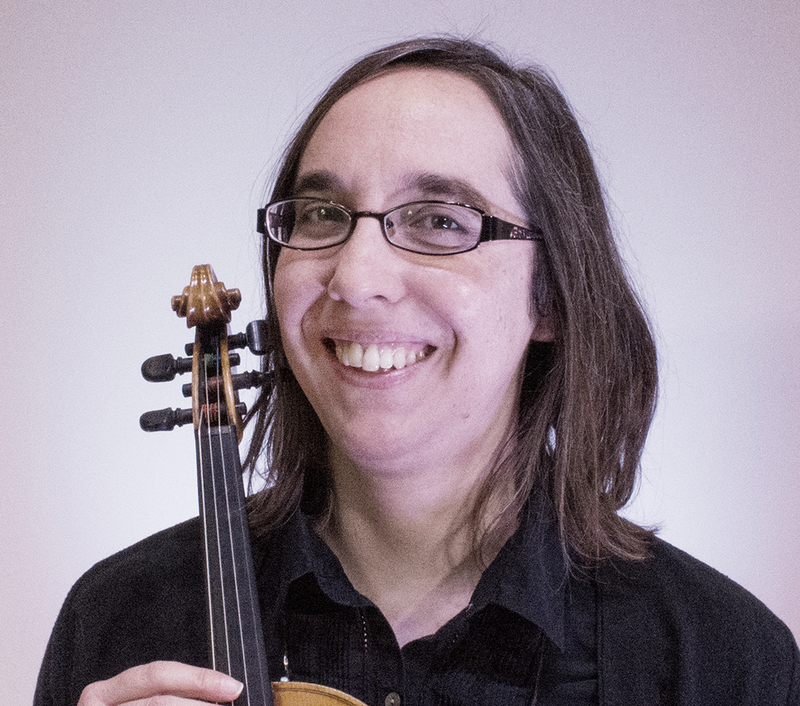 Natalie has training in the Suzuki method of instruction, and is a founding member of Harmony Strings Music Studio in Grand Rapids. She also co-founded the Heritage Hill String Quartet which keeps busy playing for weddings and other special events. She plays Celtic fiddle music for fun as well. Her violin is an August Gemunder made in New York in 1890 (thankful for a mom and dad who bought this wonderful instrument, and for their constant encouragement and support). Fun facts: Natalie often practices with her Siamese cat, Jude, on her lap. Her favorite band is Pearl Jam, and she loves all kinds of music. She is an avid gardener, reader, and eco-warrior.